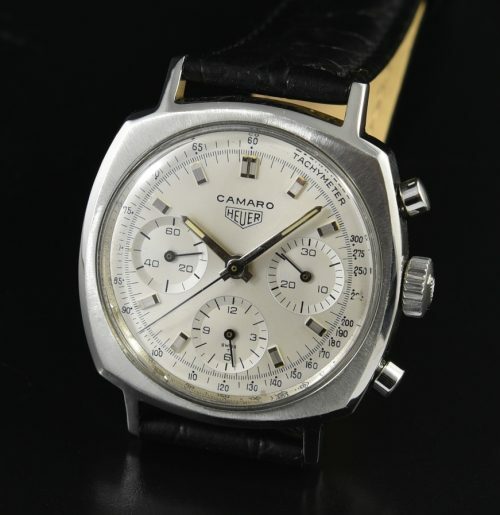 Look at this prime example of an vintage early 1970’s HEUER CAMARO in stainless steel measuring 37mm. 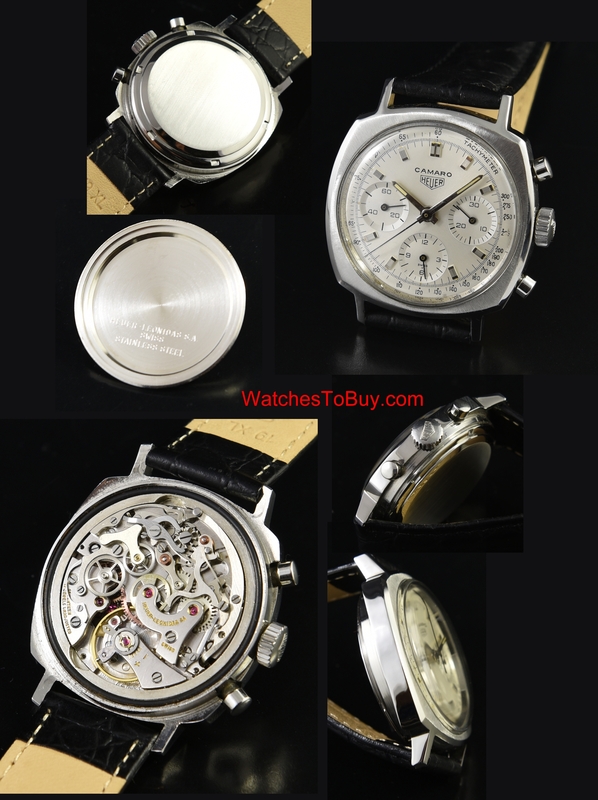 The ORIGINAL silver dial is spectacular with only fading in the # 225 in the tachymeter scale-barely worth mentioning. The hands are original. he famous and most deisirable Valjoux 72 movement sparkles after a recent clean and overhaul with all functions operating as they should. The steel HEUER case gleams. The crystal is scratchless and the original winding crown is in tact.